Coastal Alabama lost a leader this week. 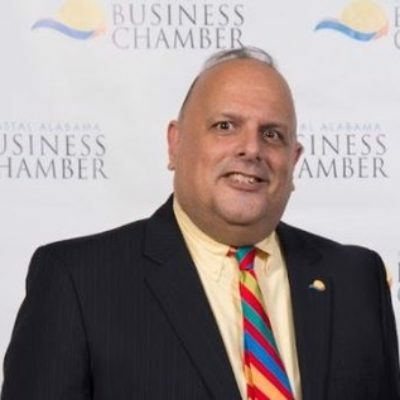 Ed Rodriguez, CEO and President of the Coastal Alabama Business Chamber, passed away last Thursday. Ed was a true visionary who looked outside of his own area and always thought regionally. Ed brought a high level of professionalism and leadership to his team, earning the Chamber of the Year in 2015. Ed was a tireless supporter of regionalism, collaborating with area chambers, businesses and Coastal Alabama Partnership to build coalitions throughout our region. Most of all, Ed was a friend and will be sorely missed by all. Read what others had to say in this article from John Sharp with AL.com. A memorial service will be held Thursday and, in lieu of flowers, the family requests memorial contributions to the Miracle League of Coastal Alabama.